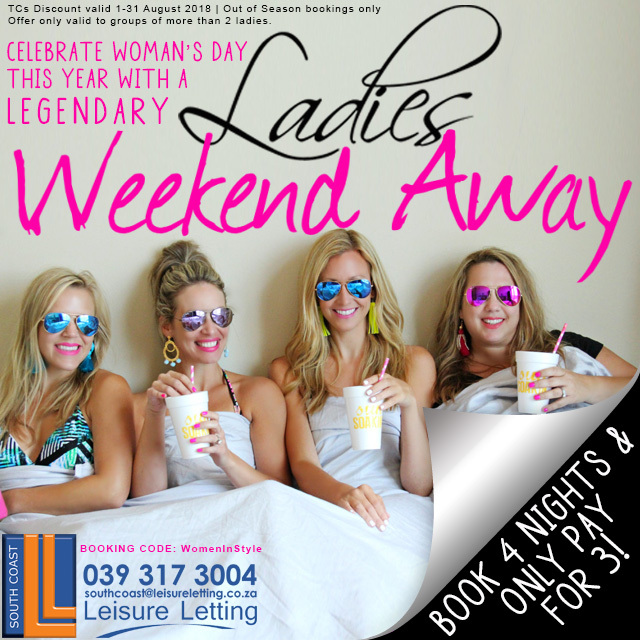 Enjoy a girl’s trip away and take advantage of our Women’s Day Bookings discount! Book 4 nights and only pay for 3! Turn your dreams into a reality and book a girl’s weekend away to celebrate Woman’s Day this year! TCs Discount valid 1-31 August 2018 | Out of Season bookings only | Booking Code ‘WomanInStyle’ | Offer only valid to groups of more than 2 ladies.